Ahh. It’s that time again, folks. Christmas time…oops I’m sorry…Holiday time. You know what that means? Pop out some of your ol’ Christmas movies, pour some eggnog, maybe some hot cocoa, and relax while you watch those good-feely movies. You may realize that some of them don’t have the best plot in the world, but your disappointment will only last a minute, because they are classics for a reason. If they are still a classic, that means they are still great for a modern audience, and one of these holiday classics is the third National Lampoon’s Vacation film, Christmas Vacation, starring all of those odd-jobs from the other films doing their thing a third time around. If you’re looking for a simple plot then look no further. Our plot here simply lies with Clark Griswold as he plans to create the best Christmas party ever with over-the-top expectations all around. With him is his loving wife and ever-changing children and the rest of his extended family of nutjobs and kooks including Uncle Eddy, which I’m sure is a product of inbreeding…same with his children. What makes this film special is, as always, the foolproof structure of nonstop random humor and ever-expanding arrangement of characters. Mix that with the holiday spirit, and you have yourself an instant classic in the list of holiday films. I usually don’t like a movie that has such little plot, but I find myself increasingly satisfied every time I watch it. Like a martial arts film, the story didn’t need the plot as much as it needed everything else. 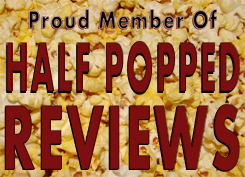 The plot is a placeholder to keep everything together and instead of fights, this relied on humor to get the point across, and to be an entertaining venture. Nowadays, movies really have a hard time getting this structure down. I often hate modern movies with little plot, because their material is often stale and not good enough to hold the movie. They don’t make ‘em like this anymore, folks. The comedy is so well done in this film that it is almost impossible to ignore. Usually with films that I can do it with, I list off a few memorable scenes in the film…which I usually love. Hardly ever do I run into a film that I can easily say the entire movie from beginning to end is memorable. In this case, I tried to find a single scene that wasn’t memorable…but boys and girls, it’s not easy. There are a few short scenes here and there that had little importance, but overall the movie in its entirety is profoundly unforgettable. That includes the actors and their respected characters. 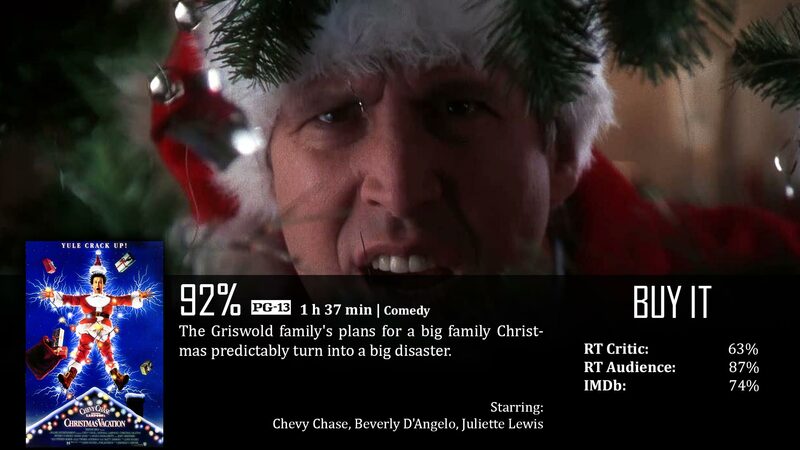 Chevy Chase is one of the best comedians I know. He has had some of the most memorable comedic characters in film history and even his character on Community is worthwhile. It’s no wonder why this series went on for as long as it did, Chase pulls the weight of the entire flick. That’s not to say the rest of the cast is bad, because they are also great…I just wish they’d keep the same actors for the kids and watch them grow older. However, I do kind of see the humor in changing the actors each time. Each of the characters are a different color than the last, and has so much personality that not a single family member is left in the dark. It’s hard to say that for films with a big cast playing a big family. One day, I’ll get around to reviewing the other Vacation films, but not today. Besides, from what I can remember, even though the settings change, it’s still pretty much the same movie. We’ll see though. One day. This is another great and worthy addition to the list of classic Christmas films. The humor is still fresh and meaningful to a modern audience, almost every single scene is memorable, and the characters you won’t soon forget. While it does meet the standard for a modern audience, there are some jokes here and there that may feel stale for others, and if that happens, they might start to lose interest in the film. It’s not the best Christmas movie in the world, even though it’s high on the list. There are things you can still complain about if you’re a Scrooge this year. Agreed. Probably my favorite Christmas movie, actually, though I am more than a little sick of it (insofar as my wife watches it at least twice every December). The other vacation movies are certainly similar. But there are enough differences to make each feel worthwhile on its own merits.